The Maxwell Street Foundation will be at the New Maxwell Street Market in Chicago on the third Sunday of the month, April through October. 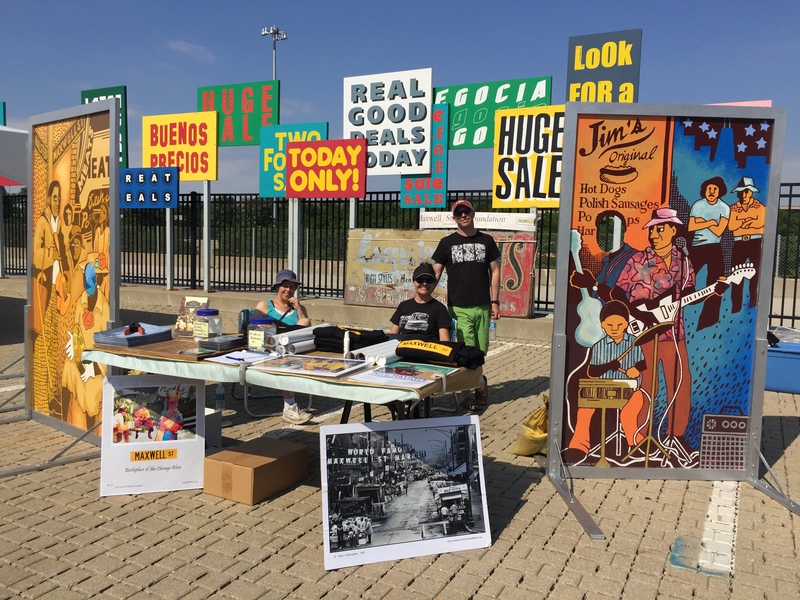 Maxwell Street fans can visit our table at the Market on May 20, June 17, July 15, August 19, September 16, and October 21 for a variety of Maxwell Street-themed items ranging from books to posters and T-shirts, and for good conversation about Maxwell Street and the Market. You can also shop for selected items on our website at maxwellstreetfoundation.org/support-us, and tell us your Maxwell Street stories at SUBMIT YOUR STORY. All images published by the Maxwell Street Foundation within this website are copyright of the artist and are for educational, personal, and/or noncommercial use only. For any other use, please contact gro.n1555622216oitad1555622216nuoft1555622216eerts1555622216llewx1555622216am@of1555622216ni1555622216.